When you expose your skin to excessive friction or pressure, you may end up developing circles of hard, thickened skin called corns. You usually develop corns on the feet, especially on the sides of the toes, on the tops of your toes, or between the toes. Wearing ill-fitting shoes while running or walking can cause corn on feet. Even if you stand for extended hours while wearing high heels or tight shoes, you may again develop corns on your feet. Let's find out how you can prevent and deal with corns on your feet. Wearing ill-fitting shoes, walking without wearing shoes, taking parts in sporting activities, and even wearing shoes without socks are some common causes of developing a corn on your foot. Here is what you can do about the whole situation. Simply get a pumice stone and use it to massage the corn and the surrounding area. This will help remove dead skin cells and alleviate pain as well. For best results, simply soak your feet in hot water before going to bed. After 10 minutes, rub your affected area with a pumice stone. Finally, put a cotton ball soaked in castor oil on the corn and secure it with tape. Remove it the next day and continue to apply castor oil throughout the day. You can also use white vinegar to treat a corn on foot. 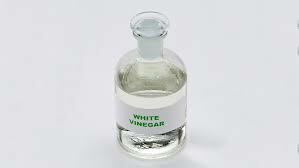 White vinegar has a high acidity level and helps soften your hard skin. Make a mixture by combining three parts water and one part white vinegar. Apply it on the affected area before going to bed. Keep the area covered and exfoliate your skin the next morning with the help of an emery board or pumice stone. Do not forget to apply some coconut oil to the area to keep the area moisturized. 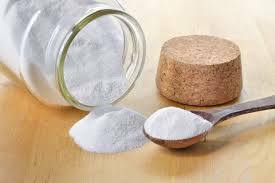 Thanks to its natural exfoliating properties, baking soda can help remove the dead skin cells around the corn and accelerate the healing process. Add a couple of tablespoons of baking soda to a basic of lukewarm water and soak your feet in it for 15 minutes. Use a pumice stone to clean the area and remove dead skin cells. The citrus acid in lemon can also help treat corn on foot. It can make that hard skin a bit soft, which will trigger healing. 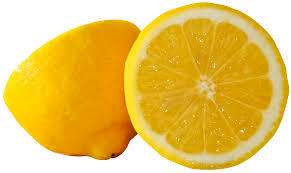 You can simply apply fresh lemon juice directly to the affected area thrice a day to get good results. Alternatively, you can mix a tablespoon of fresh lemon juice with two pieces of cloves and apply the mixture to the corn for relief. Repeat a few times a day. Thanks to its antioxidant properties, garlic can work wonders to treat skin problems. It also has antifungal and antibacterial properties, so you can rely on it to treat infections. 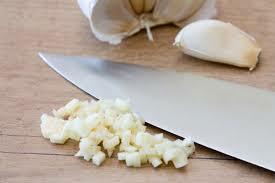 Simply take half of a garlic clove and rub it directly on the affected area. Once it becomes dry, cover the area with a bandage. Remove it the next morning and wash the area with lukewarm water. Continue with the same treatment every night for relief. 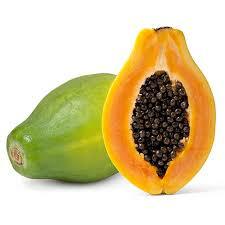 Papaya contains certain enzymes that can help slough off dead skin cells. Therefore, it serves as an effective remedy for corns on your feet. Regular use of papaya can also help relieve some pain and inflammation. Take a piece of raw papaya, grate it, and soak a cotton ball in the extract. Apply it to the corn and use a tape to keep it in place. Remove it the next morning and rub your skin with a pumice stone to get good results. 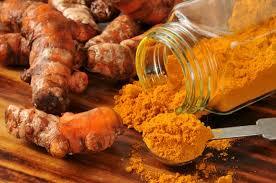 Turmeric has anti-inflammatory and antibacterial properties. You can use it to reduce pain and accelerate healing. Combine some honey and a teaspoon of turmeric to make a thick paste. Apply it directly to the corn and leave for a few minutes. Repeat thrice a day for a week or so to get rid of the corn. One way to clear corn on foot is to use pineapple. Pineapple peel is especially beneficial because it contains certain enzymes that accelerate healing. 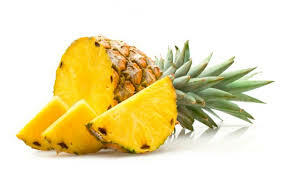 Take a fresh pineapple, remove its peel, and then cut a small square from it. Now, put it over the affected area with the inner side of the peel touching the corn. Secure it with some tape or bandage and remove the next morning. Wash the affected area and apply some coconut oil to keep it moisturized. Repeat daily for a week to get good results. It is never easy to deal with a corn on your foot, which is why it is better to take steps to avoid getting a corn in the first place. Here are some simple ways to prevent corns from developing. Do not ignore points of friction or pressure when walking. You will develop calluses and corns if you continue to wear ill-fitting shoes. Frequent rubbing is only going to make matters worse. Keep your toenails trimmed. Overly long nails can put pressure on your other nail or hit the top of your shoe, leading to a callous or corn. Keeping your nails trimmed is a simple way to avoid the issue. Use petroleum jelly. You need to keep the affected area moisturized for proper healing and that is when you can use petroleum jelly. Pick your shoes carefully. You should only be buying shoes that fit you perfectly. Not paying attention to this point will increase your risk of developing calluses and corns. You can also use foot pads to make shoes more comfortable. Be sure to keep your feet clean. You should wash your feet regularly, but it is equally important to keep them dry all the time to prevent corns.